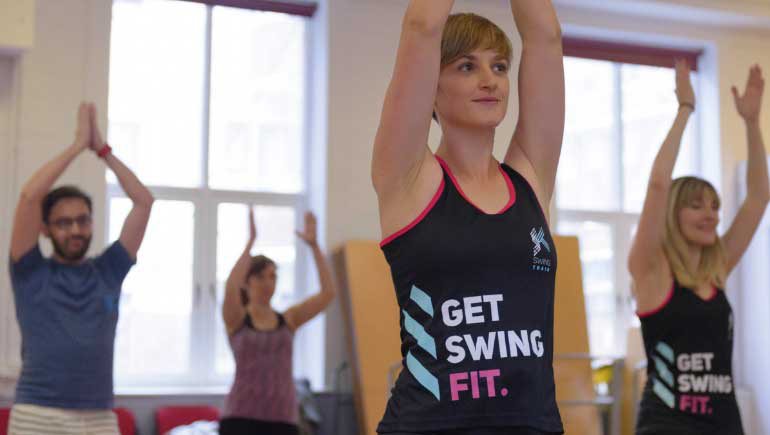 Join Claudia for an hour of dance cardio through SwingTrain. SwingTrain is a fun and effective dance cardio workout inspired by the joyful, energetic sounds of Charleston, swing, gospel, electro swing and hot jazz. It uses the classic moves of the swing era (1920s-1940s) such as Charleston and Lindy Hop to create an effective, vintage inspired cardio workout. SwingTrain’s total-body exercise classes are suitable for all levels and the music is so infectious you won’t realise you’re burning up to 500 calories an hour. The routines are made up of a series of fun, follow-along moves and engaging choreography that requires no previous dance experience and is guaranteed to get you sweating and smiling. Come along, let your hair down, and boogie to your hearts content. Classes at this venue are booked on a separate website. Clicking book will take you to the site to book. Some Swingtrain venues, have to control booking through their own website, or other booking website. So selecting book will take you to the booking website for that venue.